I'll backtrack on the initial build later, but I'm just to excited at the moment to sit down and write up a synopsis of what I've done so far. This is in no way competition to the TTSH project, as it's a one off that's taken 5 years to get this far!! 100% size or scaled down like the ttsh? wow this is a really nice beast ! Hi. I was admiring your panel and wanted to get some ideas on how to do cutouts for sliders. I am not really a DIYer, though I have dabbled a little. I don't have tools, but I much prefer sliders to knobs. I have gotten as far as setting up a bank of sliders on circuit boards, but I have no ideas on how to make a panel with cutouts for the sliders. So, I am wondering how you do it, what tools you need, etc. Also, any tips, suggestions, links to how-to-make-slider-cutout sites would be appreciated Thanks. not sure how andy has done his panel however it looks to be professionally milled and finished. this sort of thing properly unless of course you have access to a cnc mill or an industrial laser cutter ? otherwise you are down to drilling, cutting with a dremel or other small cutting wheel implement and a lot of filing , which never seems to come out all that great. I had the panel Laser Cut in 1.5mm Mild Steel, by Cutting Technologies in Barnsley, UK (£120.00). Then it was powder coated in satin black by Ashton Powder Coating, Manchester (£35.00), and finally a two colour screen print by MRT in Stockport (£145.00). I have most of the components I need, just a few odd value resistors, caps and trannies to get. The main problem I had was the size of the PCB's I could make, as my UV box can only take a maximum board size of 250 x 150mm (which is why the VCO's are on separate boards). Thanks for all the kind comments, much appreciated. Man that looks amazing - nice one. I'll have to check out those companies for panel manufacture. I've never used Tolex before - do you need to heat shrink it on? Evo-Stick Contact adhesive is the best (not the spray on stuff... it's dreadful). Luckily we've had great weather recently, so I've been able to do all the glueing outside. Finishing the cab today, and hopefully mount the panel and fit some of the modules. 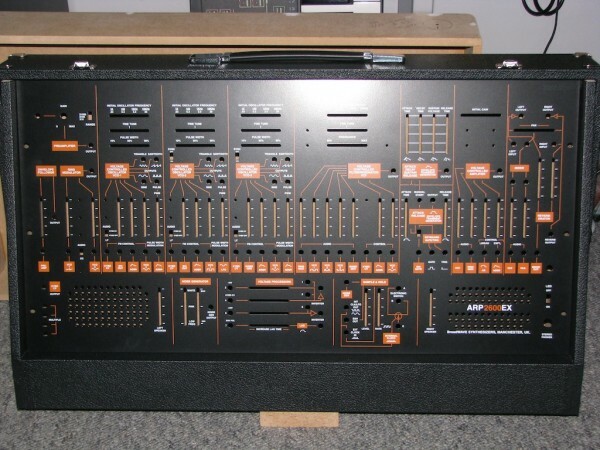 I've sorted out the problem with the VCF (ARP service manual wrong again!!! ), but I'm not sure if I like the 4012... sounds a bit too aggressive, so I may put in a 4072 instead. Looking really good Andy! Amazing job you've done there. 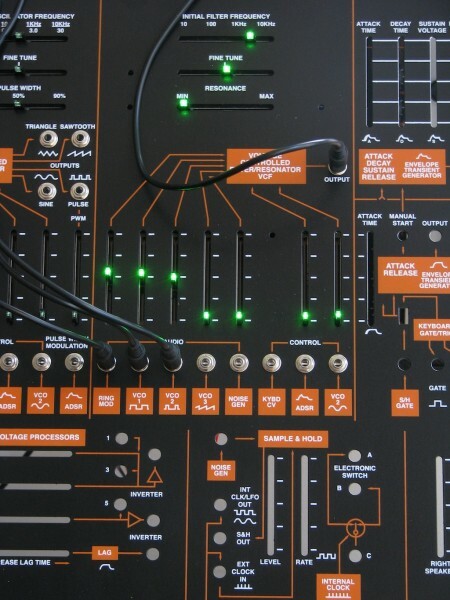 The 2600 is gaining some PR due to this and the other TTSH project. I'm really glad there's folks with patience to resurrect the classics. Keep up the good work and can't wait to hear lots of samples! 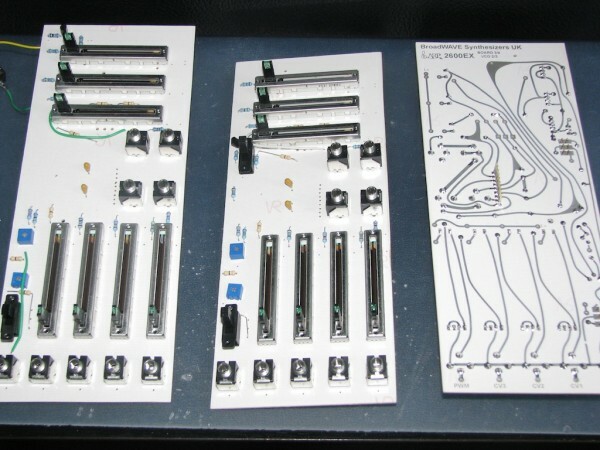 This thread is pulling to me for building a modular clone synth. 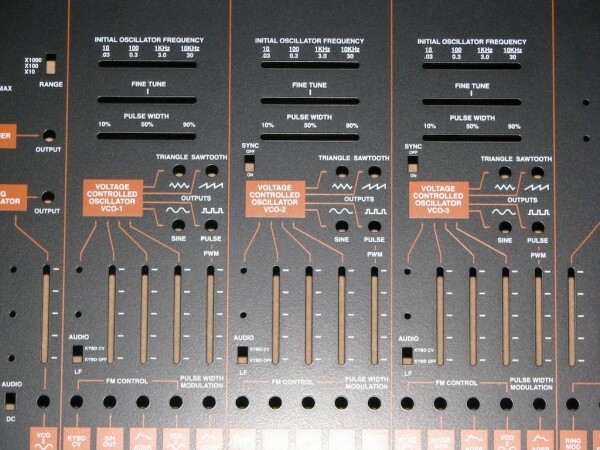 I've sorted out the problem with the VCF (ARP service manual wrong again!!!). The trimmer should be right after R145, not summing everything through it? It was the trimmer that was wrong... My service manual shows a 250 Ohm trimmer after summing - having a look around I found an amendment (for the 4072 VCF) showing an 88.7K resistor followed by a 25k trimmer, and not summed with the general CV inputs. I've removed the 4012 and replaced it with a 4075... the inverter and level shifter are on a piece of strip board to bring it up to 4072 specs... very happy with it. Preamp, Envelope Follower, Ring Modulator, VCO's/Waveshapers and VCF all completed and working great. Spent way too much time with the slider LEDs!! I usually use a 1.8k resistor for 15v, but the stock green LED on the slider is far too bright (don't fancy being blinded by 57 of them)... Took a leaf from my Odyssey Lumina upgrade and swapped out the R's for 27k - much better. By a happy accident I found that the slider LEDs are removable, so I've purchased a bunch of 4x3mm blue LEDs to see what they look like. 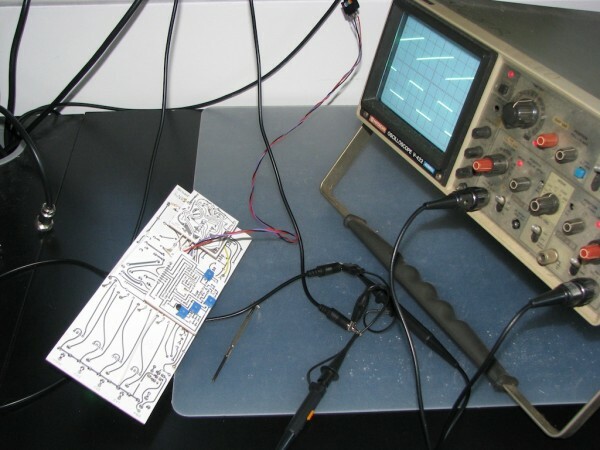 Today, I'll be drawing up some of the remaining PCB's for the Amp/Env/Mixer. 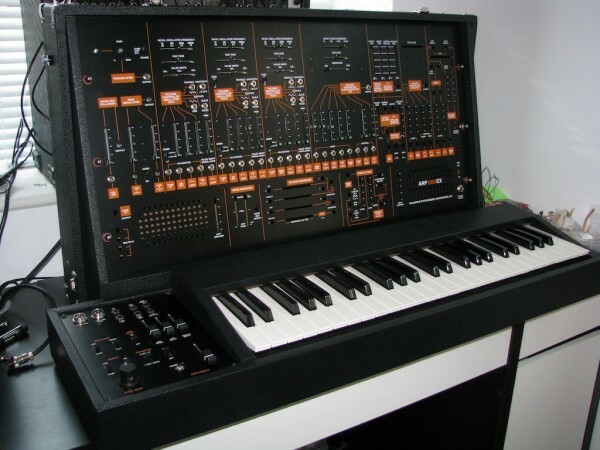 do you print the Arp boards? if you do will you sell them in the future? I believe zthee, who has recently posted in this thread, is currently in the process of ironing out the prototypes for such boards. The plan is to have panels available as well. I'm off on holiday a week tomorrow for 14 days, but I'm forging ahead hoping to get it completed before I go. Just a few more boards to do... The keyboard is something I did a few years back, needs rebuilding into a decent case. That's would be great man. Your doing more then amazing job! without underestimate no one (sorry if its sound like that) my heart goes with Andy and his great work. In NO way am I downplaying all the love and hard work you've put into your project! It looks AWESOME, Andy. I wish I could fiddle with her sliders right now. Do you think I'll have any problem building one as my first project? 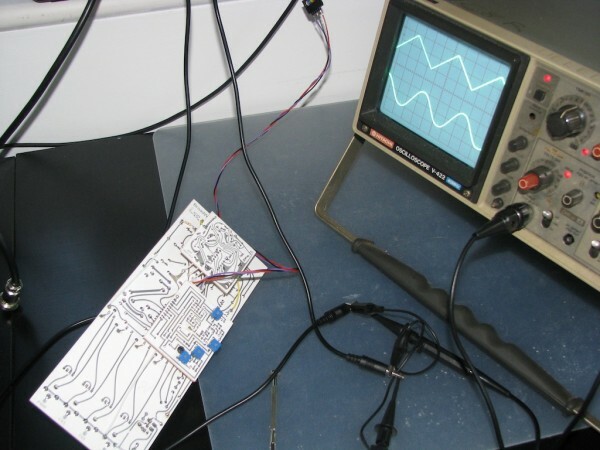 I soldered lots way back in high school and I'm pretty sure I'll get any logic down pat, but it's the electronics formulas and testing I imagine will give me trouble. Any plans for another fantastic retro build?